After entering the modern lexicon, the term hybrid evolved. Today, it applies to many different things. Thus, you are most likely familiar with hybrid vehicles, hybrid plants, and even hybrid dogs. (Think labradoodle.) The word hybrid, however, equally applies to home construction. Hybrid homes use a combination of methods or building materials to create the structural shell of the home. With so many construction methods and products available, however, the definition of hybrid varies from one company to the next. This article explains the unique approach that PrecisionCraft’s professionals use when designing and building hybrid log and timber homes. We hope this information proves useful to you as you continue your journey to your next luxury residence. What is a PrecisionCraft Hybrid Log & Timber Home? A PrecisionCraft hybrid log and timber home blends two or more of our product lines or building methods within the same structure. This means, unlike many other companies, we do not incorporate stick framing into our hybrid homes. Some homes are a mixture of handcrafted posts and custom timber trusses; others are a blend of milled log walls and exterior timbers. Regardless of your final choice, your PrecisionCraft hybrid home will be a residence of distinct flare. For example, you may wish to blend custom timber trusses with milled log walls similar to the magnificent New Jersey home found here. The Branchville beauty has been featured on the television show Epic Log Homes, (and in more than one magazine), due to its distinct log and timber hybrid construction. Conversely, you may find an energy efficient log post and beam home, like the Canadian residence shown below, to best represent your style and needs. With such a variety of stunning methods and material mixtures from which to choose, it may be somewhat of a surprise to you to read: hybrid homes do indeed share a handful of characteristics. 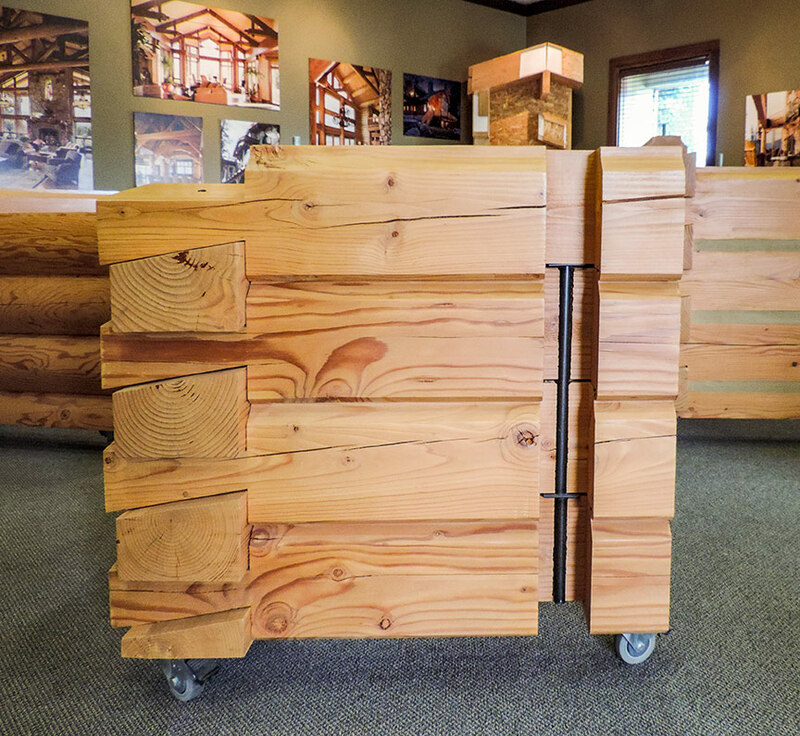 1- Hybrid homes mix two or more of the following product lines: handcrafted logs, milled logs, log post and beam, or timber framing within the same structure. 3- Hybrid homes offer you the same beautiful textures that are available with our full log and timber product lines. 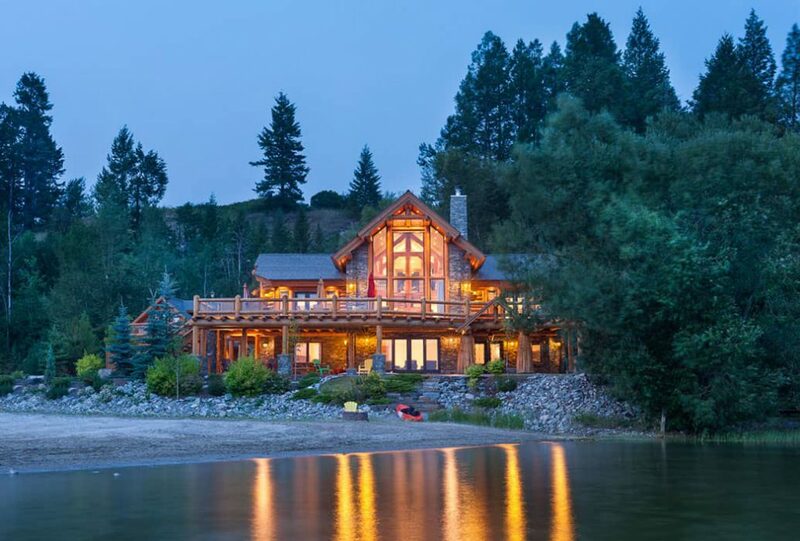 As a stunning example, the hybrid home below was awarded Excellence in Log Home Design by the (American) National Association of Home Builders, Building Systems Councils. It was additionally featured in Log Home Living Annual Buyer’s Guide and Rustic Architecture magazines. Its dramatically textured timbers are the result of a specialized adzing tool used by experienced craftsmen. Innovations in building over the years have brought numerous alternatives to the world of traditional log and timber structures. Many log home companies use a combination of log siding with fiberglass batt insulation; (PrecisionCraft does not). 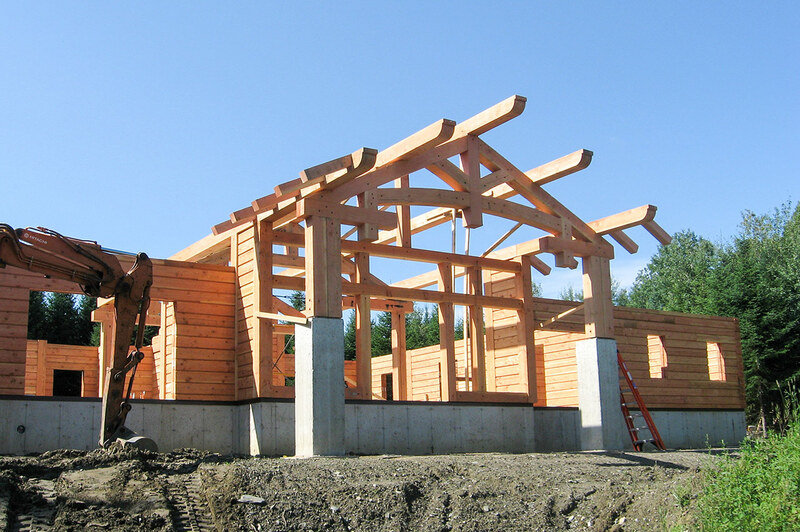 Some timber framers combine structural insulated panels (SIPs) into timber frame homes. Your future home may include timber framing, log walls, and SIPs. By working with PrecisionCraft, a company that integrates and provides all three of these products, your hybrid home begins its journey to a seamless completion in the hands of dedicated professionals. The concept of hybrid log and timber homes will continue to evolve and change. As you research your next home, you will undoubtedly encounter the term again. Understanding that not all companies mean the same thing when they talk about hybrids, and that not all hybrids are equal, may offer you an advantage during your planning. If you prefer the look of an hybrid home and are interested in the design flexibility that one may provide, contact the architectural designers at our in-house design firm, M.T.N Design, or the client representative for your province, state, or country. Enjoy more PrecisionCraft beauty. 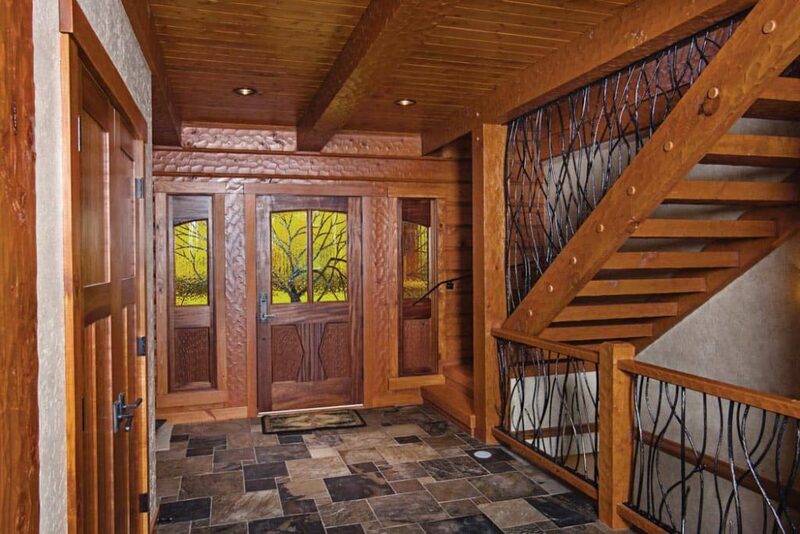 Visit our Hybrid Log & Timber Homes photo gallery. [i] There are other advantages to using the HNS System including the strength its steel adds to the log walls. Read more about this patented method of constructing log and hybrid homes here.